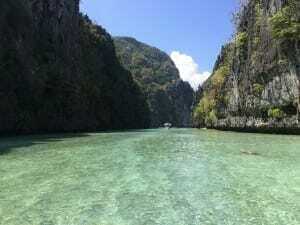 Big Lagoon: the most beautiful place in El Nido. 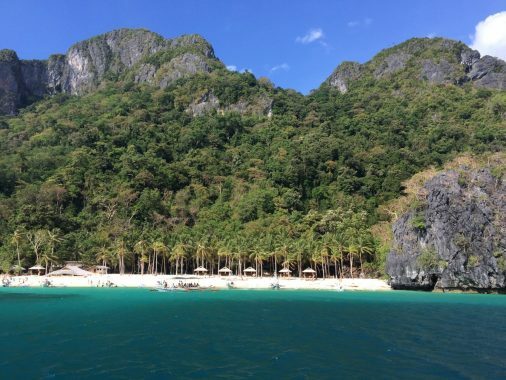 Not many people have ever heard of El Nido, and for sure, few have seen this breathtaking “Heaven on Earth” place, composed of 45 islands and islets, located in Palawan, southwest of Manila, in the Philippines. 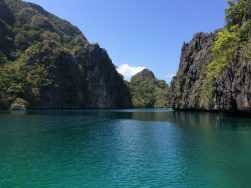 Palawan has been ranked not only once, but also twice, in 2014 and 2015, as “The Best Island in the World” by Conde Nast Magazine’s readers. 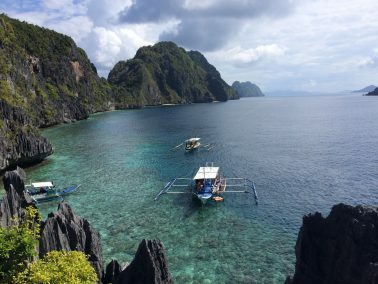 I visited the Philippines in February of 2015, and even though I only visited 6 of the over 7000 islands which comprise the country, I’m utterly convinced that nothing beats the extraordinary scenic wonders that exist in El Nido. 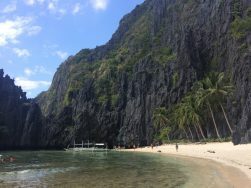 7 Commandos Beach, El Nido. 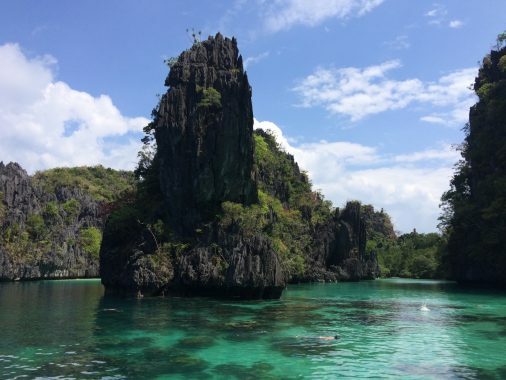 Watch video: Sailing into the Big Lagoon. 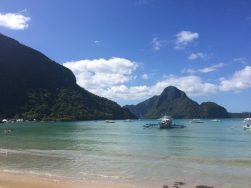 El Nido is a fortunate little town situated on the north end part of Palawan, full of fishermen, hotels, spa massage, restaurants and travel agencies. 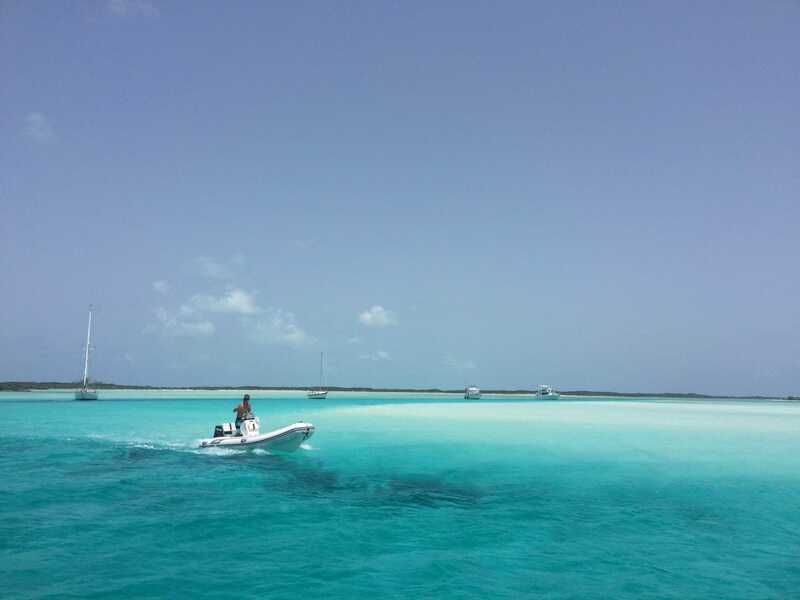 The city is the starting point to explore the islands, the remotes beaches and the lagoons. The infrastructure is very simple, electricity installed a few years ago is a luxury, the Wi-fi is very bad, and you rarely see cars only tuk-tuks and motorbikes. 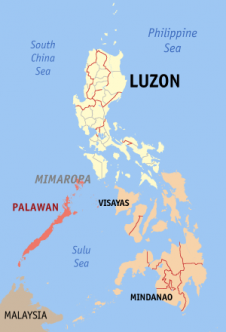 However, the Filipinos are very friendly and speak perfect English, which makes the communication and relationships very easy. 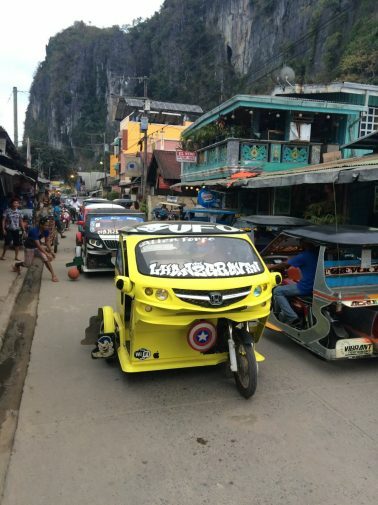 Jeepney, the most popular form of transportation in the Philippines. 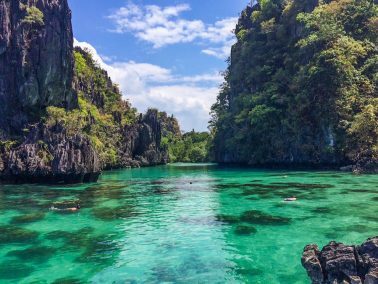 Emerald crystal-clear water at Big Lagoon, the Philippines. 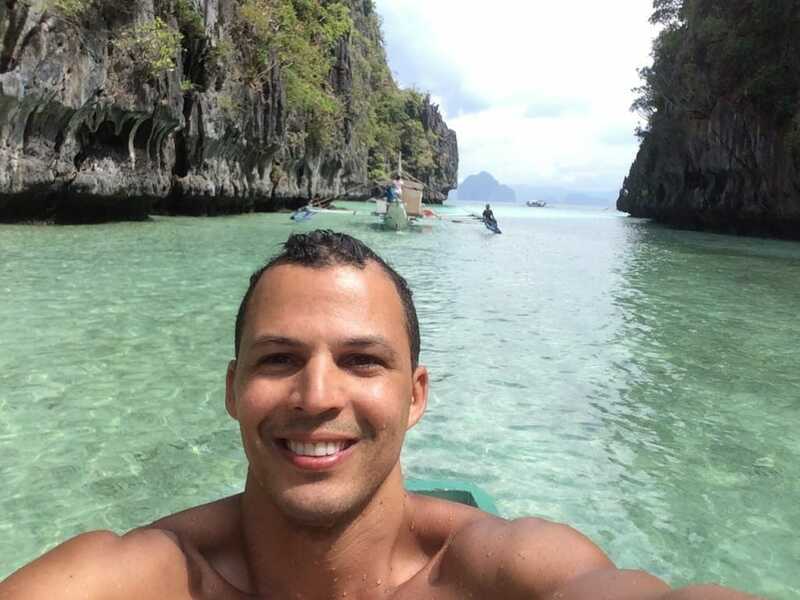 The boat made a lap around the Big Lagoon and stopped in front of the most fame and photographed spot. 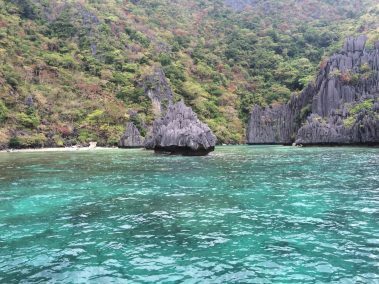 Different shades of green and a giant jagged rock that I saw so many times in pictures were just there in front of me. I refused to dive underwater in order to contemplate the most precious place I’ve ever seen. I did jump in the water many times and swim, but I can confess that most of the time I was staring at it hypnotized from its beauty. 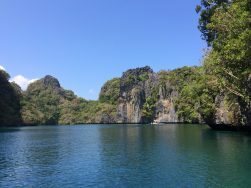 I was so in love with the Big Lagoon that I took this same excursion twice! 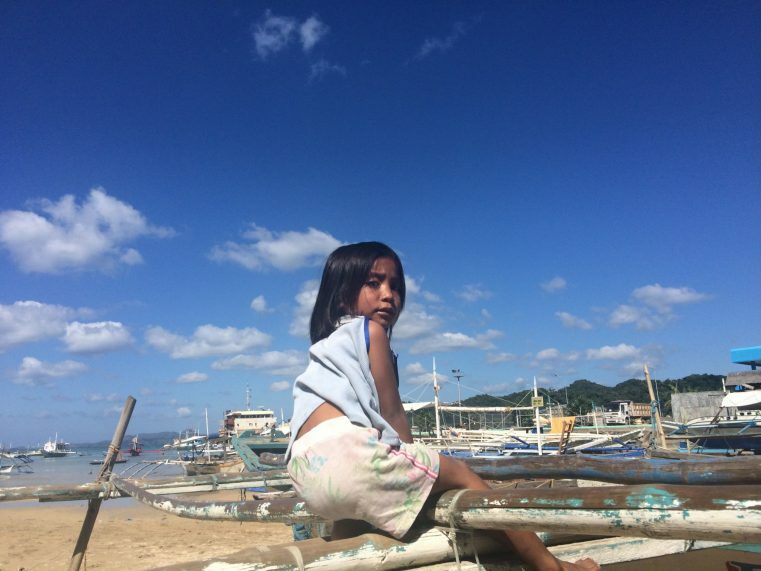 I felt like I did not appreciate it as much as I could on the first time and I was not sure when I would come back to the Philippines again. 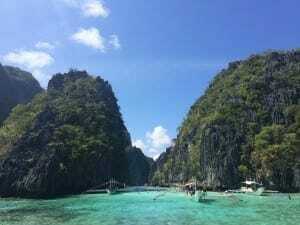 I did visit others islands and islets in El Nido, but the Big Lagoon had definitely stolen my heart! 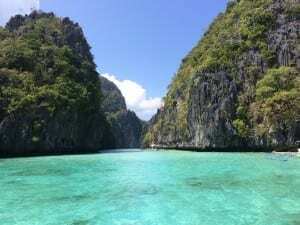 If you’re visiting Boracay here is Where to Stay in Boracay. 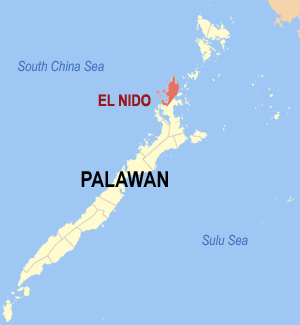 El Nido is located on the north end part of Palawan, which is about 420 kilometers southwest of Manila, and 238 kilometers northeast of Puerto Princesa, Palawan’s capital. P.S. 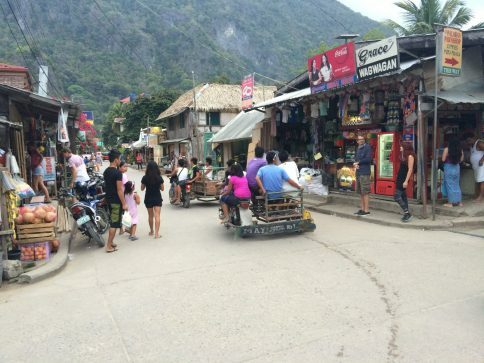 : You can try to get a small discount with some agencies that are on the way to leave the town , not wth the ones on the main street. 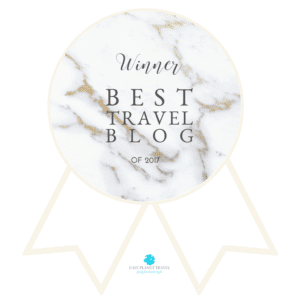 Also try to book more than one tour at once and for more people. 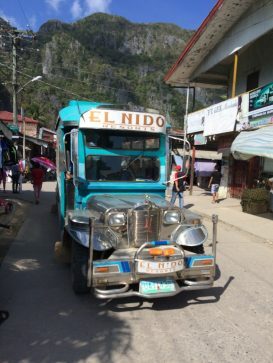 Here the full article of El Nido: one of the most beautiful places in the world! 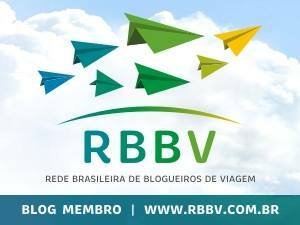 Arrasou no Blog, amigo… Muito bem escrito e otimas fotos…Parabens!!! !